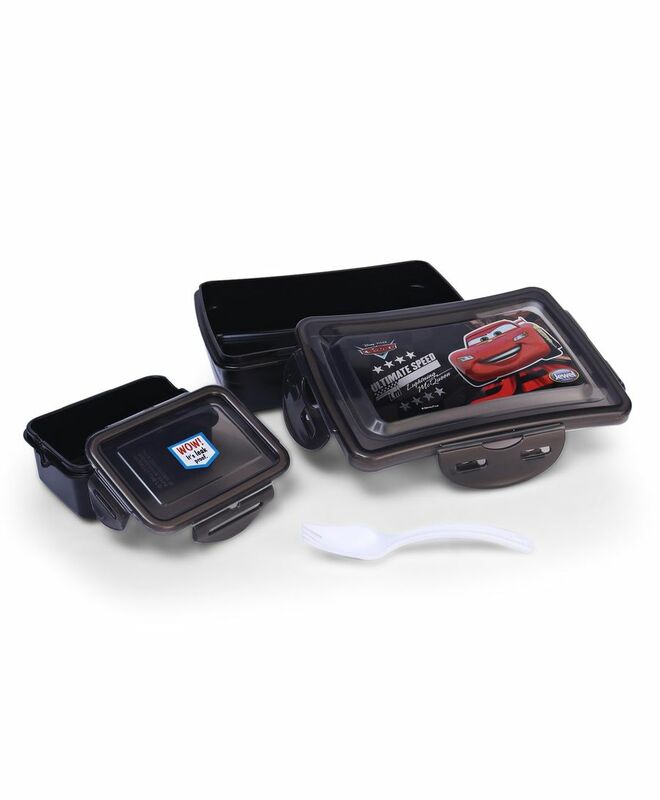 Disney Pixar Cars brings you this high quality lunch box made with food grade plastic. It is a lunch box with single compartment that comes with a small box inside to keep your sabzi, chutney, sauce, sweets etc. This lunch box set is made from plastic ensuring good strength and durability. The set includes one lunch box which has clip lock closure with one fork. The lunch box set is space-efficient and has been designed for easy storage in your kids school bag or back pack.